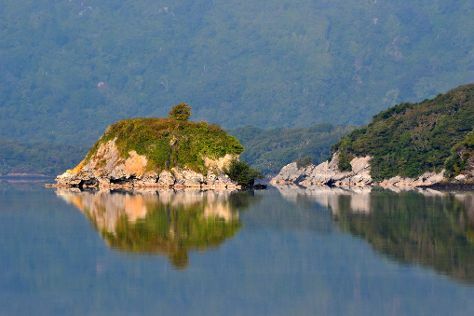 Continuously inhabited since the Neolithic period, Killarney draws visitors with its picturesque natural scenery, fine restaurants, and traditional pubs. A major tourist destination for well over two centuries, this ancient town sits in the middle of a vast national park famous for its lakes, waterfalls, dense forests, and towering mountain peaks. Compact and easily explored on foot, Killarney features a network of narrow lanes flanked by souvenir shops and bookstores. The easiest way to experience the local culture and mingle with the natives is by attending a game of Gaelic football, Ireland's national sport and one of Killarney's favorite social events. Killarney is in County Kerry. Plan your vacation with our Ireland trip website and discover the best things to do in Killarney.